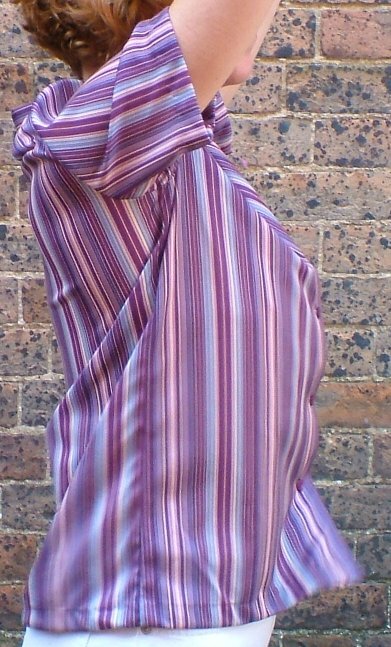 1960s vintage American silky blouse . 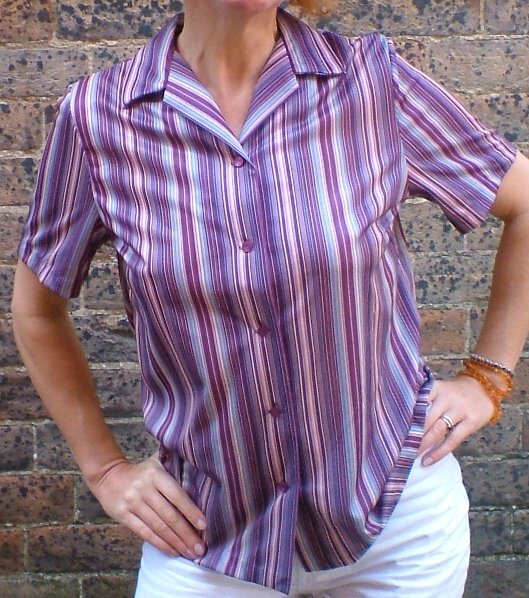 Gorgeous, silky stripey blouse in shades of blue and purple: business-like or casual, you choose! 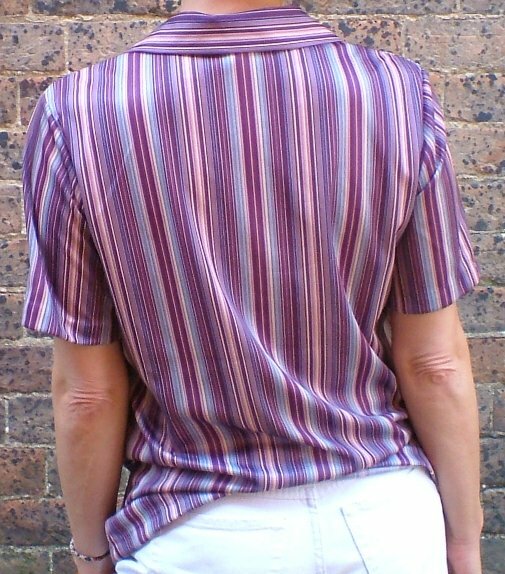 It's made from polyester and is easy to care for - no ironing required! 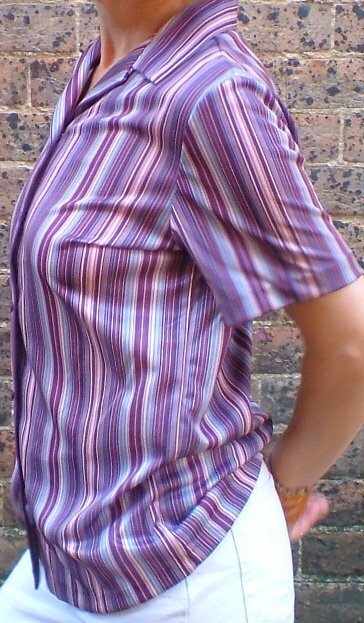 It has short sleeves and a little collar, is unfitted, and has an open neck to show off a contrasting scarf. 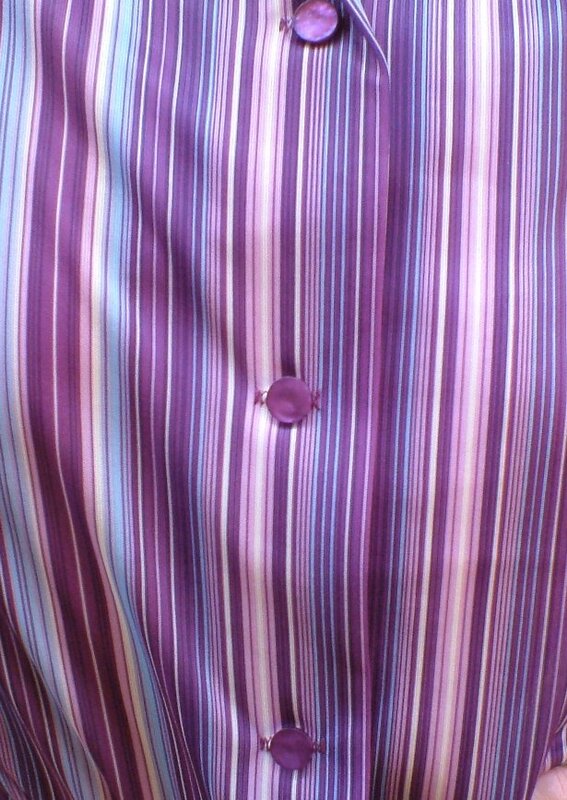 It fastens with five buttons, all original, and is in perfect condition! It was made in the early sixties or late fifties, but has survived well. 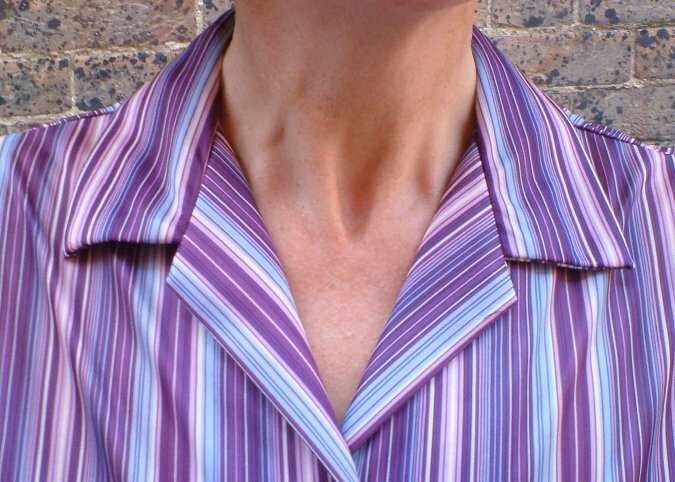 Approximate measurements are bust 38 ins/96.5 cms, length from base of neck 26½ ins/67 cms.